Comments: This is a highly popular plant for large interior landscapes where there is considerable natural light. It is grown outdoors in warm climates but cannot tolerate freezing temperatures. Leaf drop is a problem indoors and is normally associated with trees that have not been properly acclimated to the greatly reduced light after having been grown in a nursery outdoors, poor light conditions and from any number of insects associated with growing this tree indoors. Mealy bugs, aphids, and scale insects can be serious problems when growing rubber trees indoors. 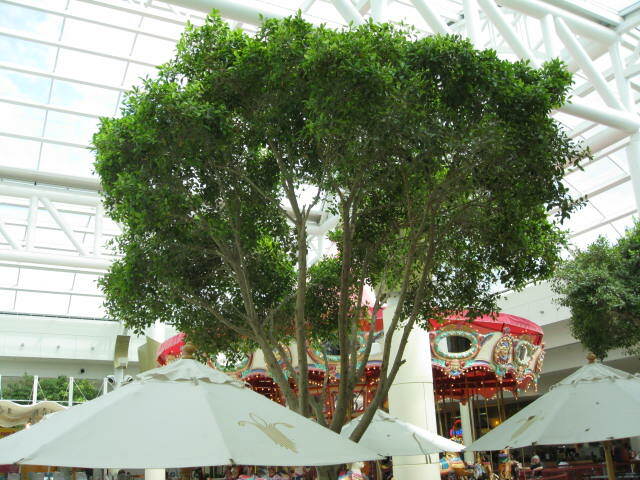 It is a very popular choice for large planters and huge pots when a sizable tree is needed indoors.